The first week of January is usually pretty slow around here, so it is a perfect time to tackle a project that echoes with the beginning of the year resolutions: a deep cleaning & decluttering session. 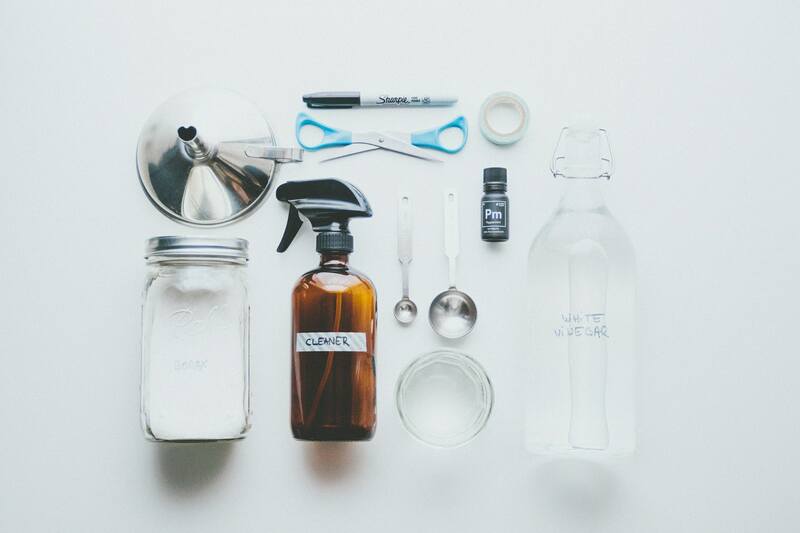 I've been pretty inspired by the book I got for Christmas, The Hands-On Home, and decided to gather all the products and tools I would need to try all of the home cleaning recipes it contains and a couple more I've tested in the past. A deep cleaning is a very big task, so instead of diving into it and spending a whole week-end scrubbing and vacuuming, I decided to spread it over a whole week, focusing on only one area a day. Now is the part where you are all going to think that I am a little insane, but I'm gonna go for it. It was inspired by Netflix’s fictional character Kimmy Schmidt. As you may know, Kimmy has survived 15 years of imprisonment by a cult leader in an underground bunker during which she and her bunker mates had to constantly turn a heavy crank - the purpose of which remained unknown to them until long after their escape. During a scene that stuck with me for a reason I could not fathom, Kimmy shares her secret to dealing with unbearable tasks: You can stand anything for 10 seconds, then you start on a new 10 seconds. Whether it's scrubbing an oven or writing a school paper, setting an attainable goal is a good motivation, and an encouragement to keep going. I heard the same idea in a podcast I listen to but Kimmy's metaphor is such a good one that I'm gonna stick with it. One good example, is cleaning a very dirty stove. Decide from the beginning that you'll allow yourself to stop after you've scrubbed the first burner. Once you've finished this task, your mission will be accomplished. If you feel like to can do more than one, good for you. Otherwise, pick up where you've left off the next day. What's important is for you to know that if you stopped at the first one, you've reached your goal. Motivation is key and you'll quickly get to a spotless stove, one burner at a time. Another important factor is to make sure that you have everything you need for when you'll decide to tackle this major project. To me, there's nothing more frustrating than realizing that I'm missing one key ingredient for a recipe or, like it happened for this photoshoot, realizing that 2 of my measuring spoons were missing (I should have left them hooked to that ring!). I like to keep a shopping list on Wunderlist, adding tools, ingredients and other supplies for DIYs so that when I'm at the co-op, the home improvement store or second-hand shop, I can grab what I need without having to go back to the recipe or Youtube video. 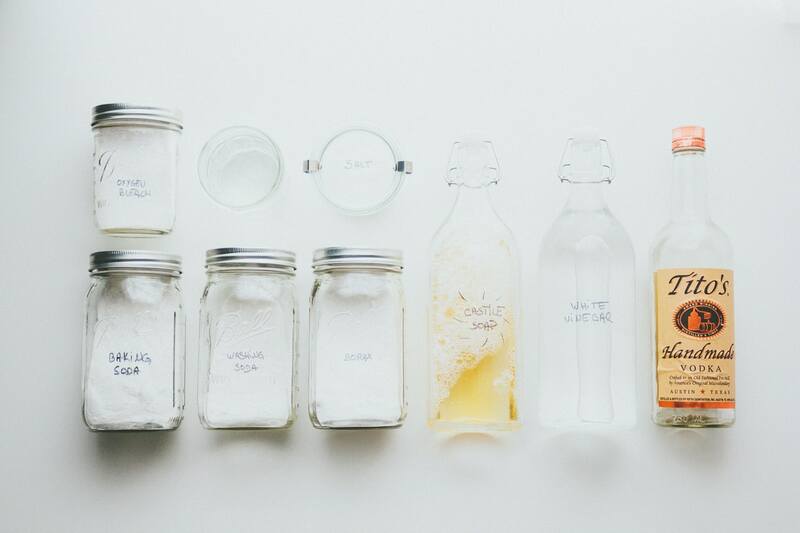 Once you've prepared your cleaning mixtures, put them all in one location, so you can conveniently grab them in the room you're gonna be cleaning (use a tote bag, a bucket or a basket, whatever is convenient/eye-pleasing to you). And last but not least, schedule your cleaning time. 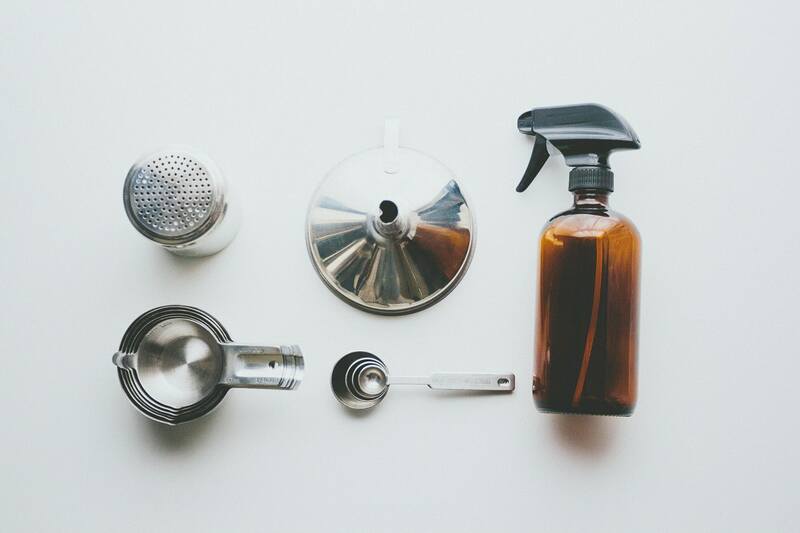 Whether it's a deep-cleaning session or routine cleaning and, more importantly, if you share this task with a partner or housemates, knowing that a special date or time in the week or month is dedicated to this task makes the decision-making way easier. No arguing, no convincing, no debating, it's in the calendar so that's when it should be done! I try to keep the same schedule for weekly maintenance cleaning but mostly rely on our common bimonthly cleaning session, scheduled on Wednesdays, every other week (I'll talk about conscious cohabitation in an upcoming article). I had most of these ingredients at home, except for the powdered oxygen bleach and granulated citric acid which I easily found in bulk at the coop. 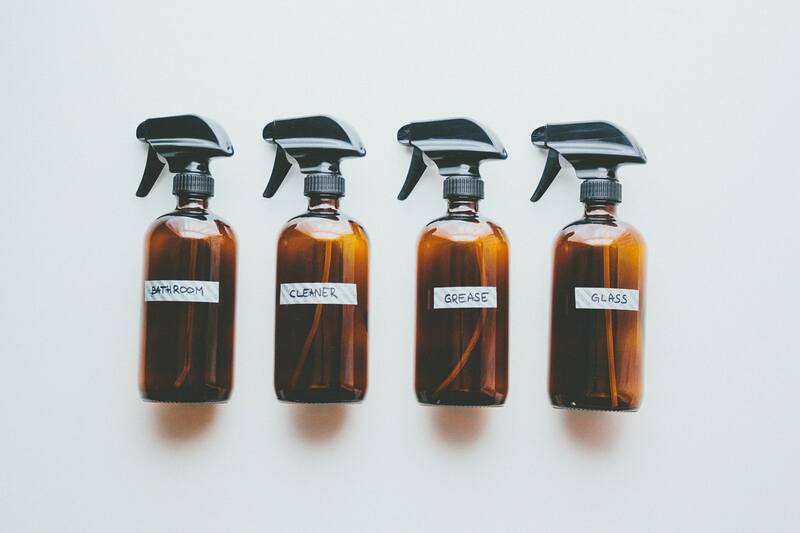 You can use bottles that you already have at home and just get trigger sprayers that will fit and drill holes in the lid of Mason jars to turn them into shakers. Then vacuum, sweep and mop toward the door. In order for your to be able to find these DIY for further reference, during the coming week, I will post one DIY a day and update this article with the corresponding hyperlinks. I hope you'll find them useful!